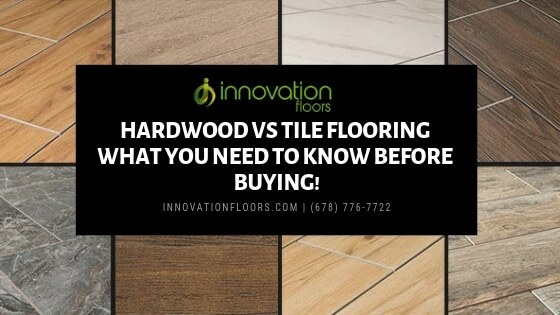 Hardwood VS Tile Flooring - What You Need to Know before Buying! HomeBlogHardwood FlooringHardwood VS Tile Flooring – What You Need to Know before Buying! Hardwood vs tile flooring differences is real. A lot of homeowners tend to underestimate the floor – while in reality, flooring holds one of the most important aspects of interior decor. When you choose the right floor, you can improve the overall look of the house while improving the aesthetic appeal. Among the various types of floors, tiles and hardwood are known for their durability. So, which one should you choose between them? 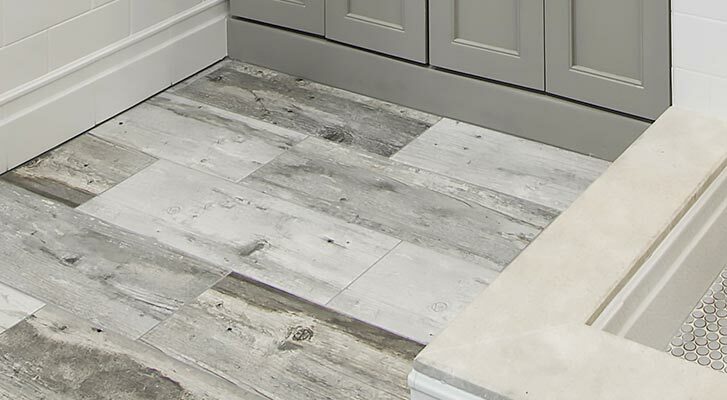 You need to realize that tiles and hardwood flooring are different in construction, leading to different care, installation, and also final finish. Homeowners looking for homey and traditional atmosphere generally opt for hardwood floors in Kennesaw – because of its natural look and material. On the other hand, those who want to create a modern and sophisticated result often choose the tiles. 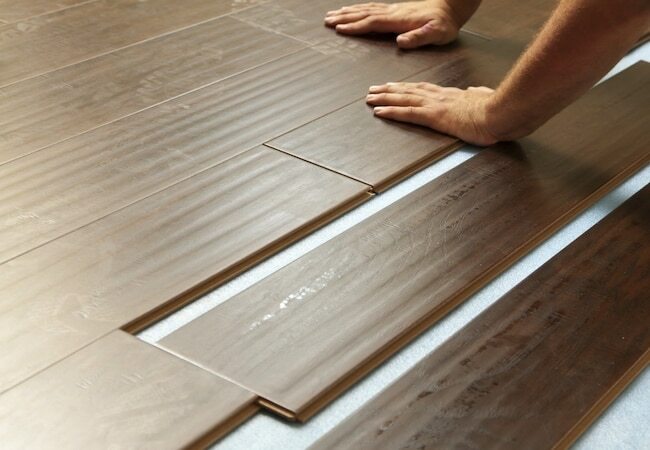 So, should it be hardwood or tile flooring? Each of them has its own appeal. Don’t forget that each of them also comes with possible downsides too. Such flooring is attractive and gorgeous in its own way. It isn’t only increasing the visual (and aesthetic) appeal, but also the property’s value. The thing to like with this hardwood floor is easy care. As long as you manage it carefully, the floor won’t cause any fussy maintenance. You only need to vacuum or sweep the floor correctly. There is no need to regularly use the wood floor cleaner. Moreover, the floor is flexible and versatile. If you want to change the look, simply add a sectional rug and voila! The room is transformed right away. If you want to create an authentic and original look, remove the rug and reveal the beauty of the floor. Not to mention that such a floor can come in different patterns, thickness levels, and stains. However, the hardwood floor is costly, including the installation. And although the floor is solid and tough, and it can last for goods, it is not a miracle floor. It will show signs of scratch and wear over time. And let’s not forget that it can be noisy. Be prepared with a creaking noise, especially if you fail to care for it properly. Tiles are another popular option for flooring. It is sturdy and durable. Not to mention that it also comes with different shapes, materials, textures, and colors. It is both flexible and economical. If you want to deliver a modern ambiance to your house, then you have made the perfect option. Unlike hardwood, tiles are inexpensive. It is more expensive than laminate floor and carpet but it is definitely cheaper than the hardwood. Tiles aren’t easily cracked, which makes it durable. If you choose the premium kind, the floor can last up to 20 years – even more! However, tiles are heavy and super hard. Because of the hardness, tiles are easy to clean. But standing on it can be uncomfortable. You can have a rug over the tiles to minimize the hardness, but then again, not everyone likes the hardness. Installation can also be costly and difficult – although it isn’t as complicated as installing the hardwood. Don’t do it on your own or you may have to spend more. All in all, those are the basic differences between tile or hardwood flooring. After reading the pros and cons, you can decide which one you like the most – and which one suits your budgets perfectly. It shouldn’t be overly difficult to choose between tile vs hardwood flooring. If you are looking for new flooring or replace your existing flooring. We at Innovation Floors can help you get hardwood or tile flooring in Kennesaw at a fraction of the price and with the best service in the area. Request a free estimate today to find out just how much you can save using our mobile direct services.